Spirulina contains the most remarkable concentration of nutrients. It`s the highest protein food - over 60 percent all digestible vegetable protein. Spirulina has the highest concentration of beta carotene, vitamin B-12, and contains potassium, calcium, magnesium, zinc, selenium, phosphorous and iron and the rare essential fatty acid GLA. 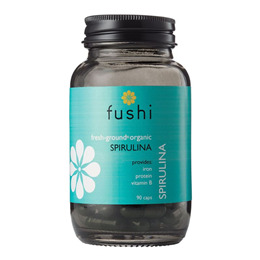 These make spirulina a great whole food alternative compared to isolated vitamins and minerals. Pure Spirulina powder (Arthrospira platensis), Vegetable Capsule (Hydroxypropyl Methyl Cellulose). Not recommended if pregnant or breast feeding. 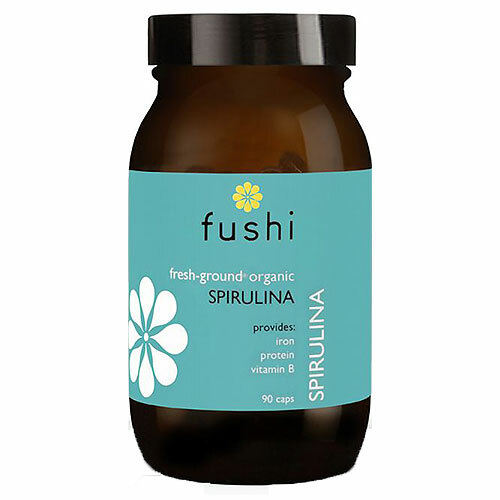 Below are reviews of Fushi Organic Spirulina - 90 Capsules by bodykind customers. If you have tried this product we'd love to hear what you think so please leave a review.